Are You Doing Your Part to Battle Air Pollution in California? 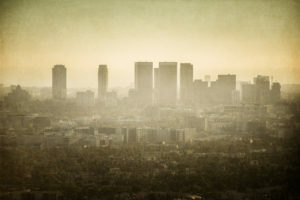 Home » Blog » Are You Doing Your Part to Battle Air Pollution in California? Air pollution in California is more than an annoyance – it is a health issue. While most people who live here know that it is an issue in larger cities, you may not realize how much of an issue it is in smaller towns and communities. You may also not realize just how easily you can help reduce it. At Progressive Insulation & Windows we are always encourage your clients to find ways to be more energy efficient. While this is one great way to reduce your contribution to air pollution, there are other steps you can take. Read on to learn more about them. Then contact us at (800) 500-6200 to make an appointment to have home’s energy efficiency checked. By far the largest producer of harmful emissions in Southern California is the traffic. With cars idling for hours a time, that is a lot of pollutant being spit out into the air. When you couple this issue with the pleasant weather we have most of the year, it is easy to see that riding a bike can help reduce your contribution to pollution. In fact, one study showed that if a person replaced 20 miles of driving per week with biking, they could reduce their carbon footprint by as much as 1280 pounds every year. Even the most efficient air conditioners product a lot of toxic pollutants. This does not mean that you have to leave your A/C off completely, but you can try to set your thermostat a few degrees higher than you normally would. You can also install energy-saving smartphone features that allow you to keep your home at a comfortable temperature when you are not home but saves energy when you’re gone. One of the easiest ways to waste energy in your home is to simply let it leak out of your home. If your home is not properly insulated, you can lose both heat and cooling. The good news is that it is easy to find out if you need new insulation. All you have to do is contact Progressive Insulation & Windows at (800) 500-6200 and we will come out to you for a free assessment and consultation. You may think that if you are not actively using your appliances, then they are not using power. This is not true. Things like TVs, stereo systems, gaming systems, etc. can together leak enough power to account for as much as 25% of your electric bill. To prevent this, get a surge protector and plug everything in together. Then when you will not be using these things, flip the surge protector to off. If you need additional help finding ways to be energy efficient, we can help. From installing new windows and doors to add insulation, there are many ways that Progressive Insulation & Windows can help.